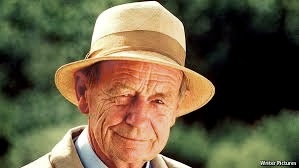 Note: William Trevor, the “elder statesman of Irish literature,” received the highest honor possible from Aosdana, an elite Irish association of creative artists, in 2014. He is also a Knight of the British Empire for his contributions to literature. In 2016 he died at his home in England at the age of eighty-eight, leaving this collection of stories behind. 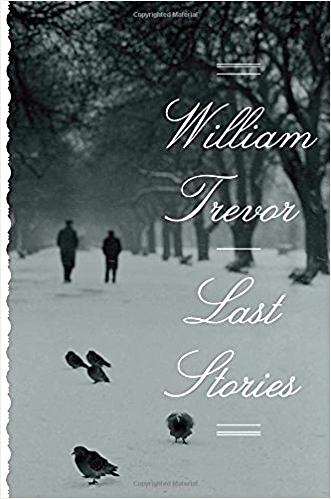 It is not an overstatement to say that in his Last Stories, published posthumously, Irish author William Trevor has presented a collection of stories so powerful and so memorable that many readers will consider this to be his life’s masterpiece. Here he illustrates the observations he has made during his lifetime regarding how people face and adapt to three of life’s biggest challenges – love, memories of the past, and death, with all the emotional involvements that those subjects embrace. Love, as we see it here, can be pure passion, but it can also include friendship, simple acquaintance, admiration from afar, and hope for the future. Our memories, Trevor shows, are often affected by our conscience, sense of guilt, regret, secrets, dreams, and the amazing ability of humans to “edit” their memories to make them more palatable. Death, of course, can be sudden, long-awaited, accidental, or intentional. Frequently, these themes overlap. Despite the complex themes, Trevor’s stories remain firmly grounded in earthy narratives connecting very real characters, most of whom create their own worlds to help them deal with personal issues. In the opening story, for example, “The Piano Teacher’s Pupil,” Miss Elizabeth Nightingale, in her early fifties, meets a new pupil, a boy whose first notes on the piano tell her that she is in the presence of genius. Miss Nightingale, independent, is single but knows well about love, and she is secure in the memories of her happiness with her lover. 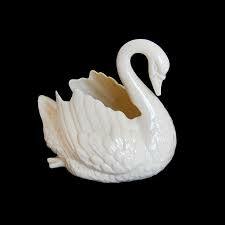 She quickly discovers that each time the boy genius comes for a lesson that one of the pieces of art that she has collected – a porcelain swan, a snuff box, an earring – disappears, but she knows that if she says anything to the boy that he will stop coming for lessons. She must create for herself a universe in which his thefts will become irrelevant or she will lose the memories of “paradise” that his playing evokes for her. The Piano Teacher’s Pupil plays like a genius but steals items from the art collection of his teacher during each lesson. The stories here appear to have been arranged in order from least to most complex and from short to long. In the second story, “The Crippled Man,” Martine, a young woman who has survived an abusive marriage, is working and living with a disagreeable old man, crippled since birth, who craves companionship and stories from her. A pair of Polish immigrants has arranged to paint the old man’s house, and after negotiating payment in cash, they begin work, stopping for over a week when a long stretch of rainy weather makes painting impossible. When they return to work, Martine is “different,” and the old man is not around. Without saying a word about the actual events that might have taken place in their absence, they and Martine negotiate the completion of the painting job and its payment, each party comfortable in the thought that the other party will remain silent about secrets which have become clear to the reader. Questions of guilt and innocence and the ability of people to manipulate outcomes add depth to this story. 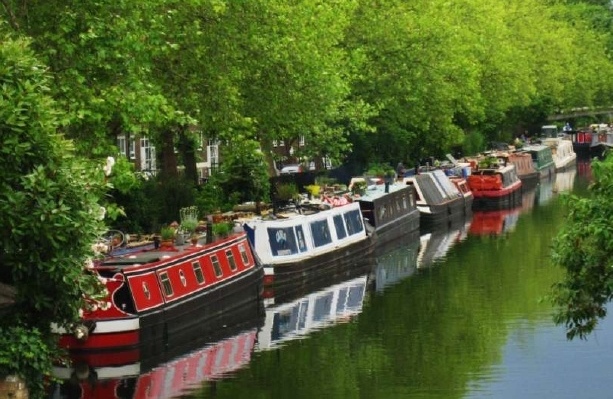 Little Venice at Regent’s Park, where Etheridge spent time escaping from his troubles. Mario Ricca, Photography. “Mrs. Crasthorpe,” contains three story lines. In one, Mrs. Crasthorpe is a woman with secrets. She has just buried the husband she married for his money and has followed his instructions regarding his funeral. She is the only mourner present. A second story line concerns a man named Etheridge and Janet, his wife, who is dying. The third line introduces Derek, Mrs. Crasthorpe’s mentally ill son Devon, who lives in an institution. Eventually, after the death of Etheridge’s wife, Mrs. Crasthorpe sees Etheridge and sets her sights on him. Trevor’s story includes some of the ironic humor here that he has been famous for in his earlier work, as Mrs. Crasthorpe’s hopes for a relationship differ dramatically from Etheridge’s, due in large part to her inability to see the truth and to understand herself. Fate ties her, her son Derek, and Etheridge together and highlights their different views of reality, their memories, and their ability to adapt to life’s vicissitudes. 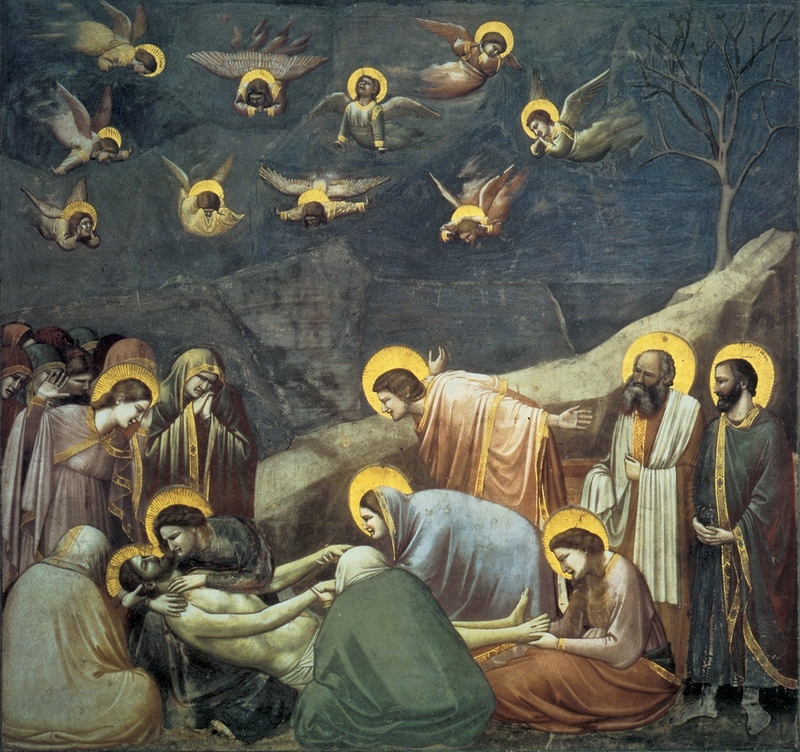 Giotto’s “Lamentation,” from which the amnesiac artist in “Giotto’s Angels” is studying and painting the angels. An unusual shift in focus comes with “Giotto’s Angels,” the story of a man who has suffered “an amnesiac episode.” He is not sure of his name, has no wallet or identification, and does not know where the key in his pocket goes. Eventually, the reader learns that he is Constantine Naylor, an art restorer by profession, who works in a warehouse he has managed to stumble his way into. There he works on a copy of the angels in Giotto’s “Lamentation,” fascinated by the angels in action. A prostitute tries to pick him up, follows him to the warehouse, and, “seeing money here,” spends a quiet, sexless night in the warehouse with him. Later she commits a crime for which she is instantly regretful. Her own fate as a human lies in the balance as she tries to reconcile what she has done with what she feels, one of Trevor’s main topics. 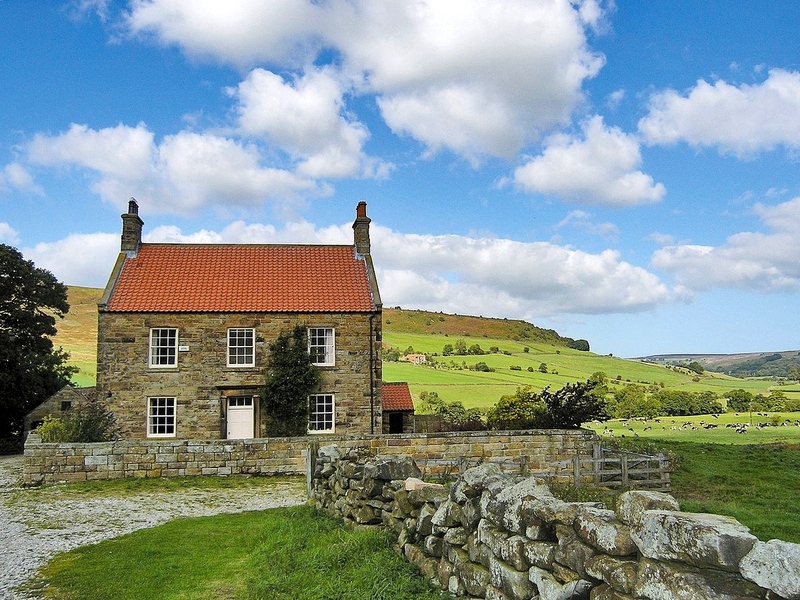 Large house similar to the description of Old Grange on the moors, where “An Idyll in Winter” takes place. “An Idyll in Winter,” one of the last, longest, and most fully developed, tells the story of a twelve-year-old girl tutored for a summer by a twenty-two-year-old man, who, ten years later, reconnects with her. Memory is the big story here, and the ways in which each deals with the past – and eventually the future – are intriguing in their differences. One of the best stories in a collection which has no weak stories, this story, like the others, captures the reader’s attention because it is beautifully paced, provides new insights into old themes, and develops them in new ways. As Mary Bella, in “Idyll in Winter” says to her former tutor, “How slightly we know ourselves until something happens…How blurred the edges are: what we can do, what in the end we can’t. What nags, what doesn’t.” This extraordinary collection feels like a gift from William Trevor to his readers, ranking with the best of the best, a gift that literature lovers will treasure. REVIEW. PHOTOS. Book Club Suggestions, England, Ireland and Northern Ireland, Literary, Short Stories.